The title of this post was taken from the song Best Day Of My Life by American Authors. I have the most amazing daughter. I love her fierce independent nature and her desire to be who she is regardless of how society says she should be. Here is a conversation we had today. "When I get married I don't want to take my husbands last name. I want to keep the name Dawson." "You don't have to change your name if you don't want to." "I don't want to make Dawson my middle name either. I want it to stay my last name." "It's totally up to you. I know several people who have done that and some that choose to hyphenate their last name." "Hmmm...maybe I could do that. I just refuse to lose that part of me." "Just be who you are and find a spouse that honors that about you." "And mom, I only want maybe two kids. I don't want as many as you have. I mean I love our family but it's just not for me." "I'm glad that you know that about yourself. If you decided that you didn't want kids at all that would be okay too. It's a deeply personal choice." "I also don't think I want to marry before I finish college. I really want to be a veterinarian. I don't have a back up plan. I can't see myself doing anything else and I want a career and then a family." "Sweetie, there is no right or wrong way to do these things. Your dad and I married really young and I had you kids as I went to college. It was really hard but having kids only made me more determined to finish school. I always knew that I wanted to be a teacher and here I am. If you want to finish school first then do it. There will always be people to tell you how you should be doing things but your happiness is what matters. Follow your heart and you will never go wrong." I am so proud of her for standing up for what she wants in her life. I know she is only 13 and things will change as she continues to grow, but at her age these things had never occurred to me. I didn't have a plan for my life and I had no idea what I wanted for myself. I went with the flow for so long and did what I thought I should be doing. I am proud of her for already developing a sense of who she is and where she wants to go in life. 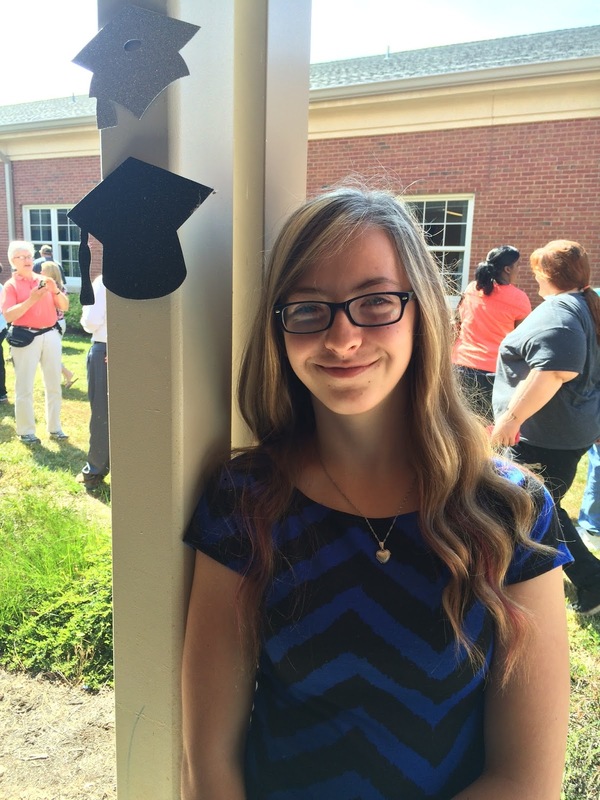 She is an amazing young woman and I am beyond luck to be her mother. I can't wait to see where her life takes her. This was taken at her 7th grade graduation. Smart, beautiful and all around amazing. This was taken before her 7th grade dance. She is an amazing sister. She often complains about having four brothers but it is evident how much she loves them all. 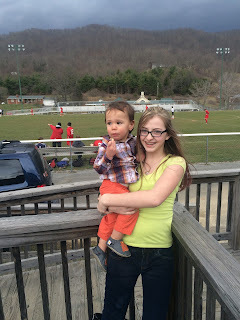 I watched this year as she cheered on Sebastian during his soccer games while chasing Jaxon around and eating popcorn in the stands with Mason.